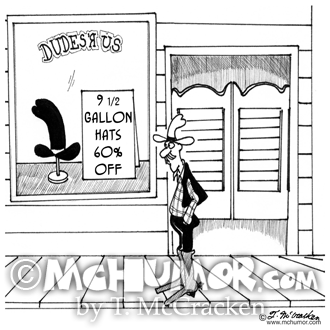 Ranching Cartoon 4509: A cowboy looking at a store sign, "Seconds--9 1/2 Gallon Hats 60% off. 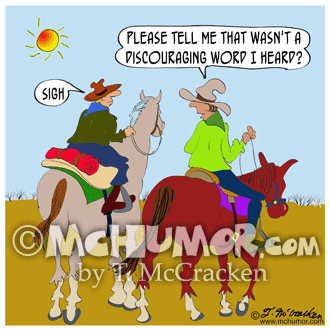 Cowboy Cartoon 8796: When one cowboy sighs another asks, "Please tell me that wasn't a discouraging word I heard?" 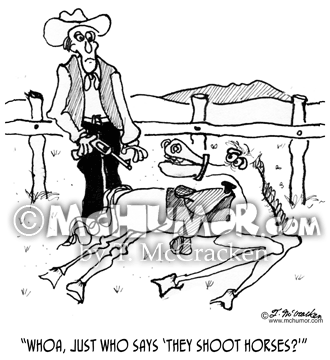 Horse Cartoon 1644: A horse on the ground saying to a cowboy pointing a gun at him, "Whoa, just who says 'They shoot horses?'" 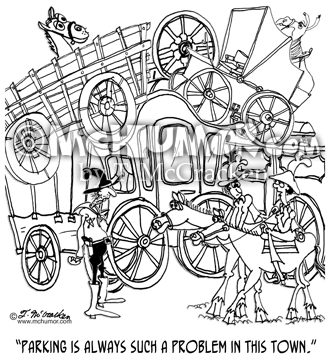 Parking Cartoon 8288: Cowboys going by stacked wagons say, “Parking is always such a problem in this town." 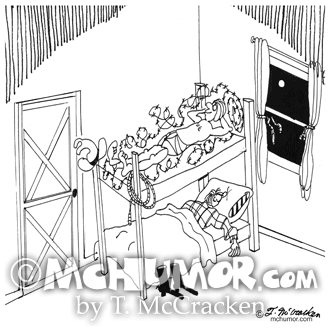 Barbed Wire Cartoon 5103: In a ranch bunk house a mystic sleeps on a bunk bed of barbed wire. 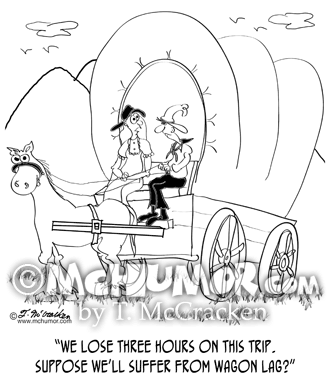 Western Cartoon 8842: A pioneers in a covered wagon says, "We lose three hours on this trip. 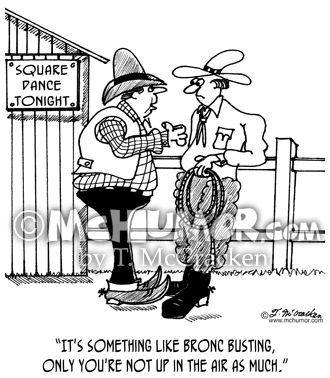 Suppose we'll suffer from wagon lag?" 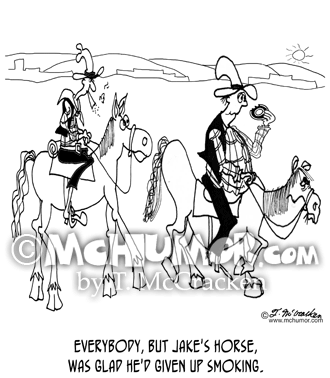 Horse Cartoon 7714: "A Modern Day Cowboy and his Horse." 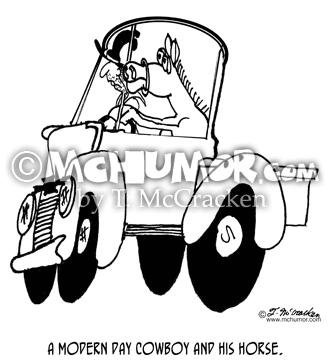 The cowboy sits as a passenger in a pick up truck as his horse drives it. 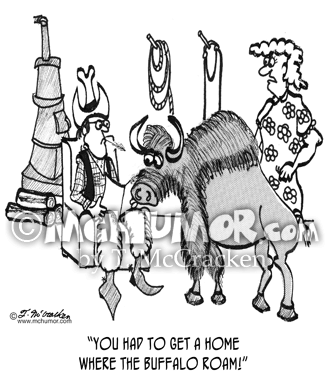 Cowboy Cartoon 2819: Woman to man about a buffalo in their house, "You had to get a home where the buffalo roam!"